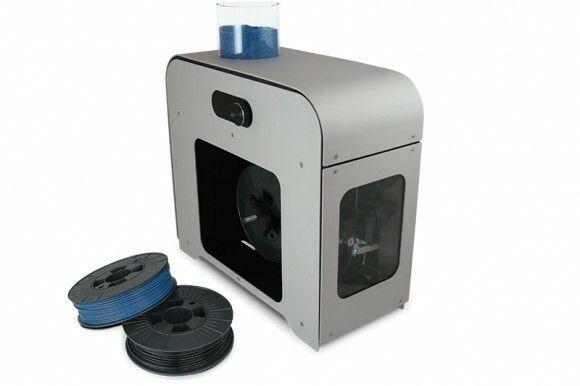 3devo NEXT 1.0 is a new professional and affordable solution to creating your own 3D printing filament or recycling materials and failed prints into filament. The company just launched their crowdfunding campaign on Kickstarter with a goal of 50000 Euro. There are already some technical information about the filament maker and there is a pretty good looking and working prototype shown. But until the device is finalized there should be some improvements and more features hopefully available. The project looks promising, though there is more to be desired at this stage, but if you are interested in getting yourself a filament maker machine, then you would probably want to keep an eye on this one as well. There is talk about recycling materials and turning them into brand new filament with this filament maker, however the device does not come with a grinder to help you in making the plastics into small pieces just like pellets. This is actually one of the drawbacks that many filament extruders have as they are most interesting for users to be used for recycling and making new filament instead of buying plastics pellets and making your own filament. Another important moment is the price, it seems that the regular price of the device will be 1850 Euro, so actually not so affordable compared to other alternatives especially if you will have to get a separate plastic grinder as well. Aside from the early bird units that will offer lower price and earlier availability, normal Kickstarter backers as well as people that may order the device after the crowdfunding campaign is over will have to wait to at least March 2016 to get their device.